My old college friend Leo visited and joined us for a WOD yesterday. He taught me how to play Ultimate Frisbee and also that I was not the tallest Asian on campus. 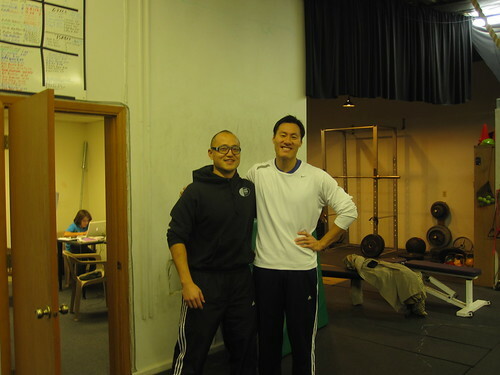 He CrossFits at Windy City CrossFit in Chicago, a gym you must visit if you are in Chicago! haha! those are some BDA’s!! !